Eaton Vance employees from a host of different departments share their experiences, opinions and insights. What I do at Eaton Vance: I am responsible for sales and marketing for The U.S. Charitable Gift Trust’s Donor Advised & Pooled Income Funds. I help generate unique sales positioning ideas for revenue-generating campaigns based on analysis of industry news and legislative changes. "People were extremely friendly, it was like a small family." Why I love coming to work: I like the challenge it gives me as well as the opportunity to learn new things all the time. There’s also a lot of flexibility with my schedule and people are great to work with. 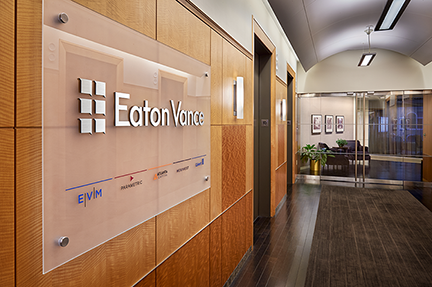 Favorite moment at Eaton Vance: When I first started at Eaton Vance, it felt like I knew everyone at the company. People were extremely friendly, it was like a small family. What makes someone successful at Eaton Vance: If you are willing to put in the hard work, Eaton Vance is great with mentoring employees and helping them work towards a future goal or job they want to pursue.